Last week, Milwaukee hosted its annual new product symposium. 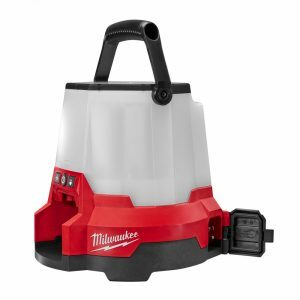 Here are a few of the exciting new products Milwaukee has planned. 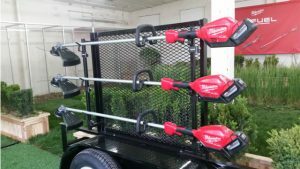 Despite ongoing rumours that Milwaukee had no plans to enter the outdoor power equipment (OPE) market, NPS 2016 featured a line of red-clad lawn and garden tools including cordless M18 string trimmers, hedge trimmers and blowers. 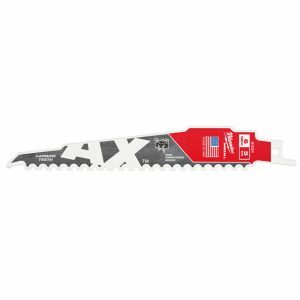 Milwaukee unveiled its new Ax SawZall blades with carbide teeth and demonstrated how these blades are more durable than their predecessors by making over 700 cuts through nail embedded wood with a single blade. Milwaukee showed off a variety of new lighting products: search lights, magnetic lights, metal flashlights with M12 battery packs and the M18 Radius site lights. The latter can be positioned on ceilings, floors and walls, emit over 4,400 lumens and are equipped with One Key to offer a ton of lighting and remote control options. Radius lights can also be plugged in for long-term use. Milwaukee presented a new cordless fluid transfer pump, drain-cleaning tool and an M18 polisher. 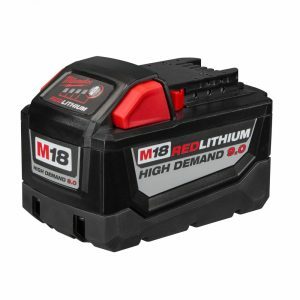 The brand also highlighted its new 9.0 amp hour batteries. Each has 15 lithium-ion cells and promises to deliver longer run time. These new batteries should power Milwaukee’s new cordless 10″ sliding compound mitre saw (with a very cool shadow guide) and cordless SDS-max hammer drill, the world’s first. The showcase also featured a lineup of brand-new Milwaukee levels, christened RedStick, as well as tape measures, pipe wrenches, work wear and tool storage. Check back with us in the coming months and we’ll tell you more about the products as more information becomes available. 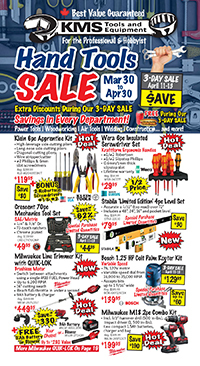 This entry was posted in Archives, Cordless Tools, New Tools, Outdoor Power Equipment, Power Tools and tagged cordless tools, FUEL, M18, Milwaukee, Power Tools, tool technology by Your Friends in the Tool Business. Bookmark the permalink.